next to a car charging station that will soon be installed in the church's parking lot. 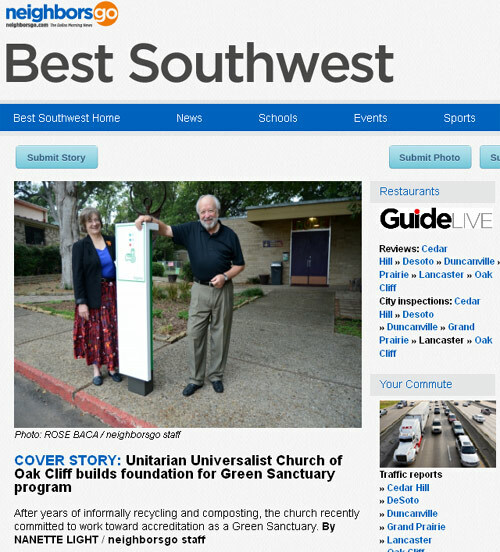 "Off The Grid: Unitarian Universalist Church Of Oak Cliff Builds Foundation For Green Sanctuary Program." Rev. 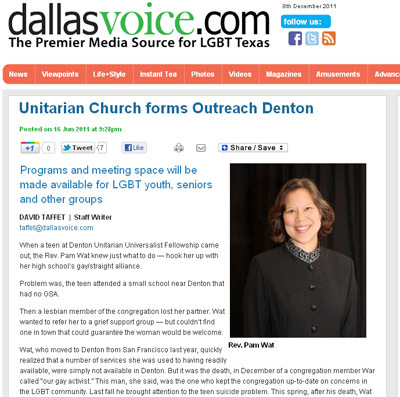 Pam Wat brought together members of six local churches to create a new resource for the GLBT community in Denton. 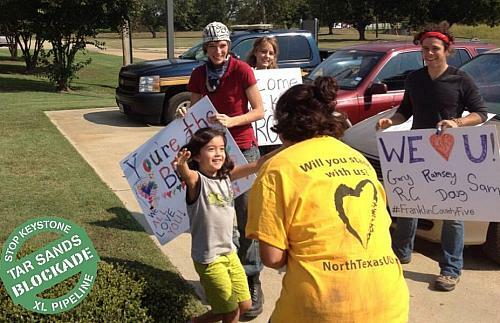 Outreach Denton will be helping in a variety of areas, but youth issues will be among the first addressed. Please see the Dallas Voice article for more details. "I want to be able to tell my children that I did something when the time came." in jail to stop Keystone XL. R.C. 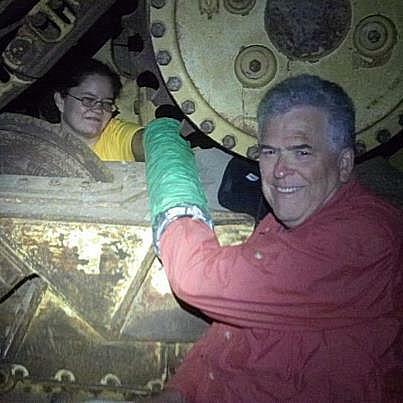 helping block the machinery! 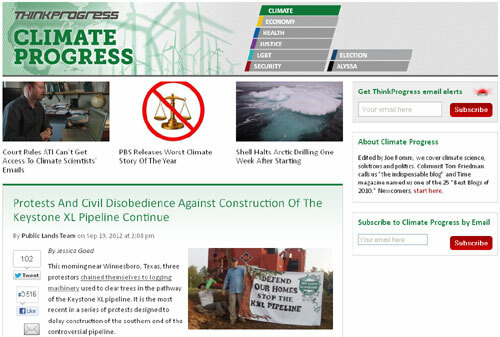 The Tar Sands Blockade is a coalition made up of a wide-variety of people taking sustained non-violent direct action to stop the expansion of Canadian tar sands and the Keystone XL pipeline.